At Fitzgerald & Roller, P.C., in Buffalo, New York, the attorneys in our law firm are dedicated to helping personal injury clients, particularly those who have been injured as a result of medical malpractice. With our years of experience, we are proud to serve clients not only in Buffalo, but also the Buffalo-Niagara Falls metropolitan area and its seven surrounding counties, including Allegany, Cattaraugus, Chautauqua, Genesee, Livingston, Monroe and Wyoming. 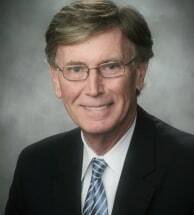 Brian P. Fitzgerald is the founding partner of Fitzgerald & Roller, P.C. He has extensive litigation and trial experience in all forms of personal injury claims, as well as insurance coverage disputes and commercial liability claims. He has achieved the prestigious AV* rating from Martindale-Hubbell for his legal ability and faithful adherence to ethical standards and professional reliability and diligence. Derek J. Roller earned his Juris Doctorate at University at Buffalo School of Law, graduating in the top 15 percent of his class. He brings considerable medical malpractice experience to our law firm, prosecuting claims against all types of health care providers, nursing homes and assisted living facilities.